Earth3D is a great application which is a type of alternative to other Earth-viewing programs like Google Earth. Directly from your desktop, Earth3D allows you to zoom in and out of various places on our planet while enjoying excellent views. 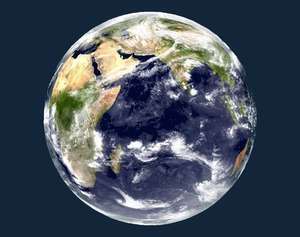 The image data which Earth3D uses to create views is obtained from various open and free sources such as NASA, the CIA and USGS, among others. By leveraging this data, you can change between different views of landscapes. Version 1.0.5 is a freeware program which does not have restrictions and it's free so it doesn't cost anything. For security reasons, you should also check out the Earth3D download at LO4D.com which includes virus and malware tests. Additional screenshots of this application download may be available, too. Earth3D has a presence on social networks. Earth3D download been highly rated by our users.